"Reproducing historic lighting using only historic methods...from base materials being pure, to the steps taken to achieve the end result...no limits are spared in producing a product that is built to last by Shoptin Lighting of MCFelk L&D!" We offer many options in commercial 3rd party design work from Hospitality to University institutional; see project examples by clicking here! 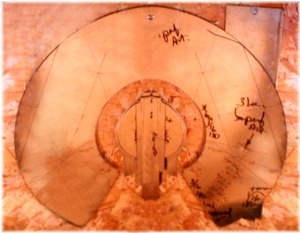 The following would be a sampling of period methods employed in producing private custom pieces. Cutting methods that we employ in creating the “blank” are much the same as those employed in the early 17th to 19th centuries. 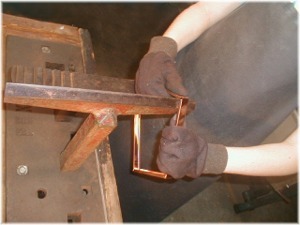 Bench shears that included a leg positioned on a stake plate in addition to a floor mounted shear as pictured here are used. 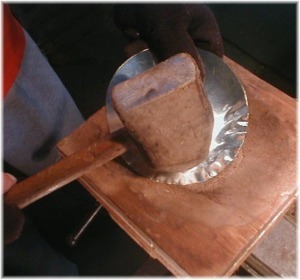 In the 18th century Tinsmiths would create patterns using tin plate to detail the fabrication steps necessary in completing part. 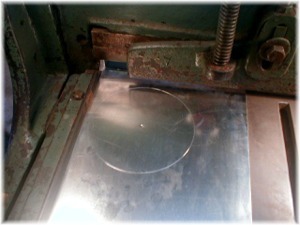 Custom parts are created by using layout tools as reflected here. Separating parts from main body of material would proceed. Pure- tin, brass, or copper chandelier candle pans are hammer sunk, followed by a planish, not pressed like cheap imitations. 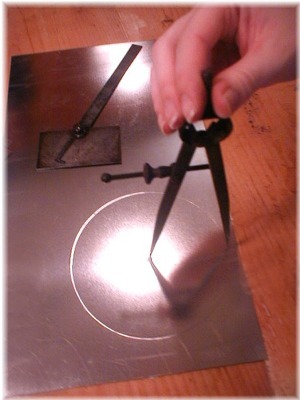 These methods are exacting to those produced from the 16th – 18th centuries. 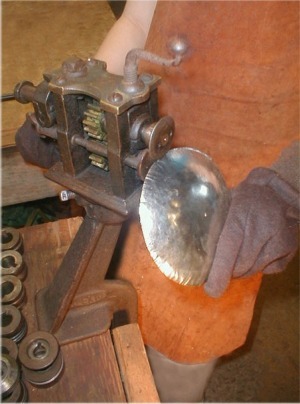 19th century hand operated Ely Parsons burring tools accomplish edging as shown here. 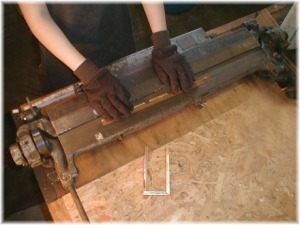 Linear straight edges are turned using 19th century bar folders. 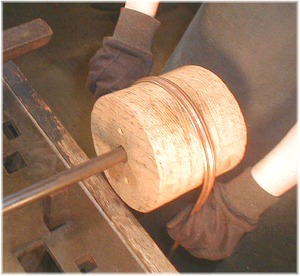 Lengths are broken using a 16th century hatchet stake. 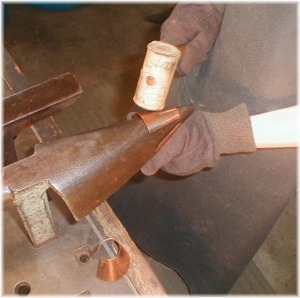 Frustrums are formed on 17th century blow horn, and beak horn stakes. Chandelier arms are roll formed with the use of 16th century wooden roll forming wheels. 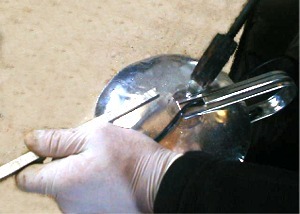 17th century tinning is performed using fired coppers heated in a period brazier as shown. Projects are hand finished using natural organic alloy aging methods of patination to levels resulting in rich colors be they tin, copper or brass. 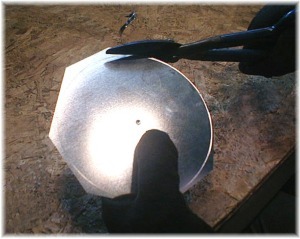 The resulting finish is guaranteed for interior or exterior applications as defined.